Family vocabulary and controlled conversation practice for young learners. Young learners working in pairs. Ideal for primary school classroom. 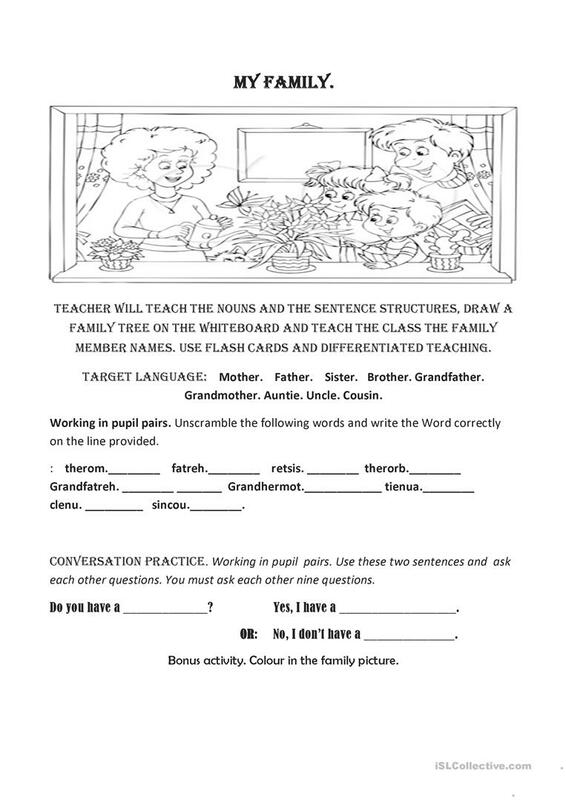 Task based comprehension task which leads into conversation practice. This downloadable teaching material was created for elementary school students at Elementary (A1) level. It can be used for developing your groups' Listening, Spelling, Speaking and Reading skills.